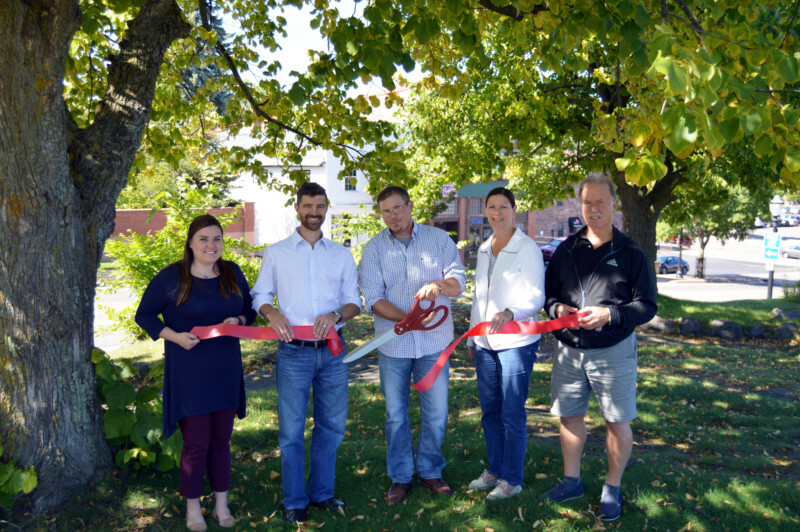 MARQUETTE – UP General Contracting (UPGC) recently teamed up with the Lake Superior Community Partnership to celebrate their grand opening with a ribbon cutting ceremony. 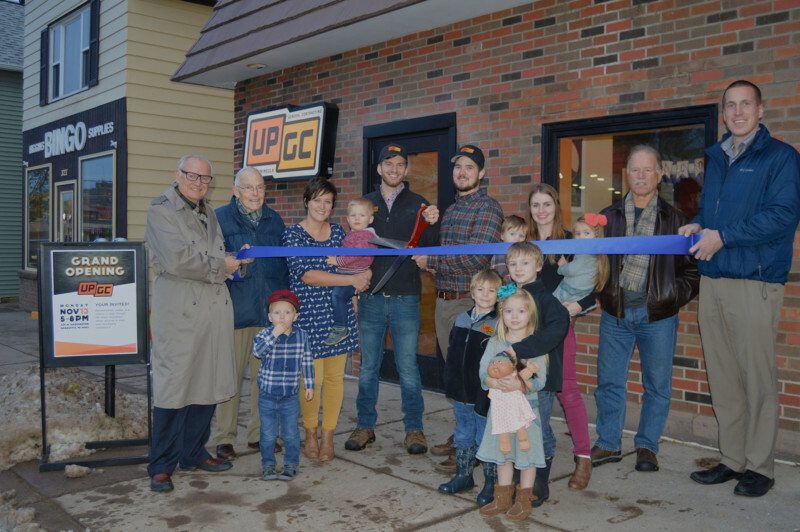 The grand opening was an opportunity for the public to meet the UPGC team and view its newly remodeled office in downtown Marquette. UPGC, founded in 2016, by CEO Klint Miller gives customers a new type of building experience, where quality and customer satisfaction is number one. UPGC specializes in custom high-end homes and transforming existing houses into new modern spaces. Clients are able to monitor their build remotely, 24/7, giving clients peace of mind, with the luxury of building their dreams together. UP General Contracting is located at 329 W. Washington St in Marquette. You can contact them at 906.748.0778 or office@upgeneralcontracting.com for information regarding their services. Picture from left to right front row: Miles Crofoot, Elijah Miller, Ezekiel Miller and Olivia Miller. Pictured from left to right back row: Tom Baldini, Marquette City Mayor Pro Tem; Dr. Charles Wright, Maria Crofoot, Jack Crofoot, Brad Crofoot, General Manager; Klint Miller, CEO; Jonah Miller, Katie Miller and Avalon Miller, Dave Campana, Marquette City Mayor and Erik Powers, LSCP Business Development Representative. 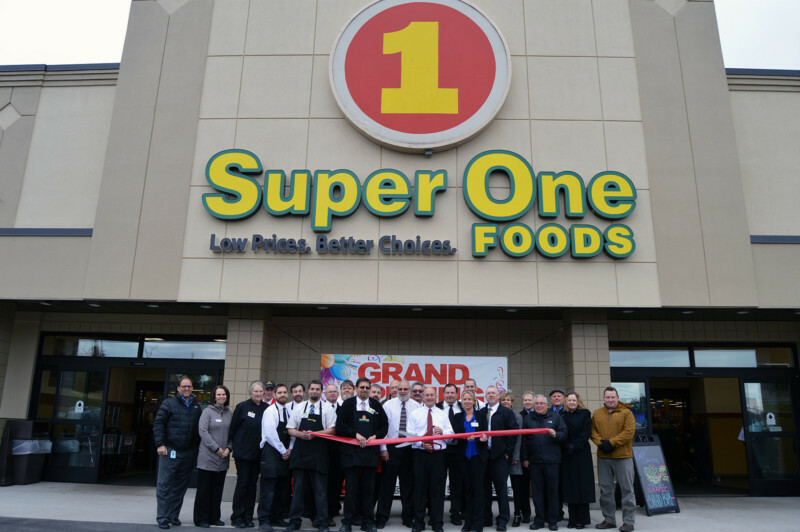 MARQUETTE – Super One Foods recently teamed up with the Lake Superior Community Partnership (LSCP) for a ribbon-cutting to celebrate the completion of the store’s major remodeling project. Super One Foods and its owners, Miner’s Incorporated, are excited to provide Marquette with an enhanced shopping experience that is full of fresh options and great service. The project, which kicked off in March of 2017, has given the store a new look, layout, and variety of features. While the renovation brought upgrades to all departments, a main focus was to expand the departments that offer fresh products to customers. They have been serving Marquette County for 28 years and are very excited to continue serving for years to come! Super One Foods is located at 3070 US-41 in Marquette and is open seven days a week from 6:00 a.m. – 12:00 a.m. For more information, call (906) 228-6777. Pictured from left to right front row: Michael Fedrizzi, Marquette County Ambassador; Karen Anderson, Marquette County Ambassador; Karin Clifton, Super One Foods; Anthony Tiernan, Super One Foods; Mans Hofer, Super One Foods; Ed Czenkus, Super One Foods; Matt Miner, Super One Foods; Patrick Miner, Super One Foods; Susie Marchand, Super One Foods; Greg Larson, Super One Foods; Chris VanAbel, Marquette County Ambassador; Randy Girard, Marquette Township; Paul Wolfson, Marquette County Ambassador; Todd Noordyk, Great Lakes Radio and Jason McCarthy, Marquette Township. Back row from left to right: Matt Duquette, Super One Foods; Steve Dalgleish, Super One Foods; Mike Trevarthen, Super One Foods; Steve Gardner, Super One Foods; Pete Kolbas, Super One Foods; Robert Delongchamp, Super One Foods; Mike Johnson, Super One Foods; Chand Norby, Super One Foods and Casey Tecsh, Super One Foods. 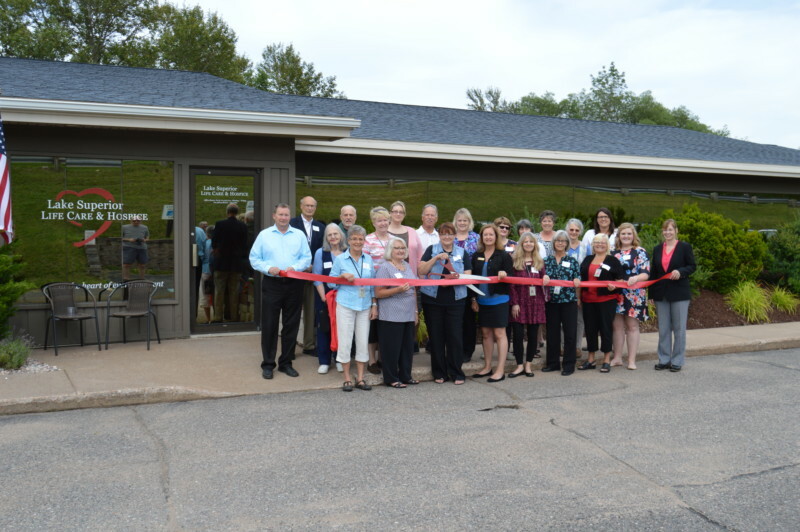 MARQUETTE – MQT Nutrition recently teamed up with the Lake Superior Community Partnership (LSCP) to celebrate its one-year anniversary with a ribbon-cutting ceremony. In its first year open, MQT Nutrition has quickly become a one-stop shop for all things health and fitness. Owners of MQT Nutrition, Jenna and Rick Neaves, have extensive backgrounds in fitness and truly understand the science behind their products. They opened the store to accommodate Marquette’s increasingly active community and show how physical activity and proper nutrition go hand in hand. The owners and their friendly staff love connecting customers with the tools needed to achieve healthier lifestyles. MQT Nutrition invites customers to visit the store on November 10th from 10:00 a.m. to 7:00 p.m. for an anniversary celebration that will feature storewide sales, a new clothing line, random giveaways, and fun competitions for great prizes! “The support for MQT Nutrition from the community has been nothing short of incredible and we are honored to help fuel your adventures! This party is our way to say THANK YOU, celebrate one year of business, and of course – have a little fun!” said Jenna, Co-Owner of MQT Nutrition. MQT Nutrition offers a variety of supplements, vitamins, fresh smoothies, juices, healthy snacks, fitness apparel, and more. 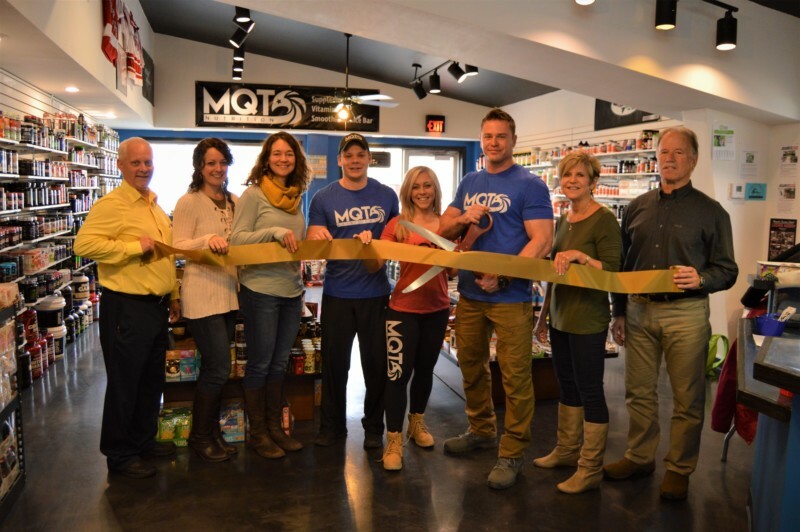 The store is located on 716 North Third Street (next to Main Street Pizza) and is open Monday – Friday from 10:00 a.m. to 7:00 p.m., and Saturday from 10:00 a.m. – 4:00 p.m.
For more information on MQT Nutrition, visit their Facebook Page at facebook.com/mqtnutrition or call (906) 273-0935. Pictured from left to right: Randy Larson, Marquette County Ambassador; Becky Salmon, Marquette Downtown Development Authority; Tara Laase-McKinney, Marquette Downtown Development Authority; Jake Robinson, MQT Nutrition; Jenna Neaves, Co-Owner of MQT Nutrition; Rick Neaves, Co-Owner of MQT Nutrition; Chris VanAbel, Marquette County Ambassador; Dave Campana, Marquette City Mayor. 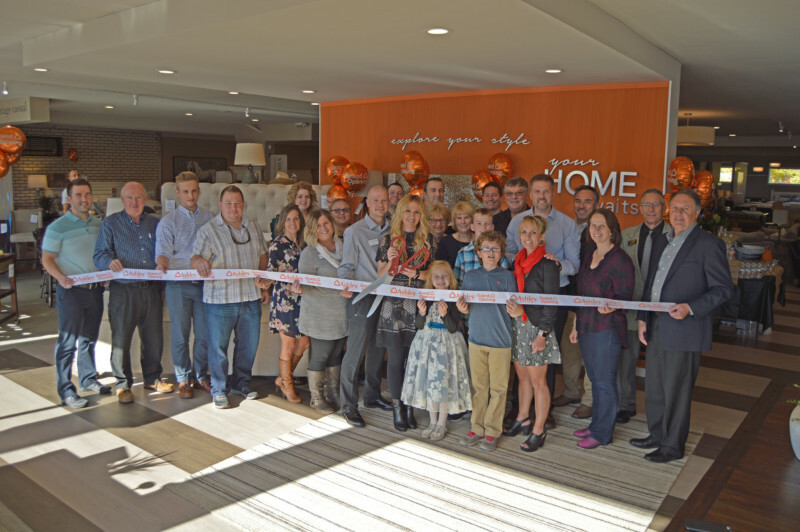 MARQUETTE – The Lake Superior Community Partnership (LSCP) recently teamed up with Ashley HomeStore for a ribbon cutting ceremony to celebrate its official grand opening. Ashley HomeStore’s owners and employees are excited to offer their superior furniture selections and services to the Marquette area. To celebrate the grand opening, which will last throughout the rest of October, Ashley HomeStore is holding four weekly drawings to give away a total of $10,000 in HomeStore gift cards. The Marquette and Escanaba HomeStores are also donating a portion of all grand opening sales to the Delta Animal Shelter in Escanaba and the Upper Peninsula Animal Welfare Shelter (UPAWS) in Marquette. Ashley HomeStore is located at 2152 US 41 West in Marquette, across from the Marquette Mall and is open Monday – Friday from 10:00 a.m. – 7:00 p.m., Saturday from 10:00 a.m. – 6:00 p.m. and Sunday from 11:00 a.m. – 5:00 p.m. Please call (906) 273-1199 for more information. Pictured from left to right: Travis Hongisto, Marquette County Ambassador; Jim Grundstrom, Marquette County Ambassador; Izaak Peterson, Marquette Township; Jason McCarthy, Marquette Township; Sheila Wild, Ashley Industries; Desiree Carlson, Sales Manager; Jamie Davison, Store Manager; Kelly Jensen, Owner/General Manager; Matt Winfield, Operations Manager; Roger & Mary Jensen, Owners; Scott and Sindy Jensen, Owners; Karen Anderson, Marquette County Ambassador; Keith Moyle, Marquette County Ambassador; Ashley HomeStore staff and family; Ashley Industries staff. MARQUETTE –The Lake Superior Community Partnership (LSCP) recently teamed up with U.P. Reef for a ribbon-cutting to celebrate the business’ grand opening. U.P. 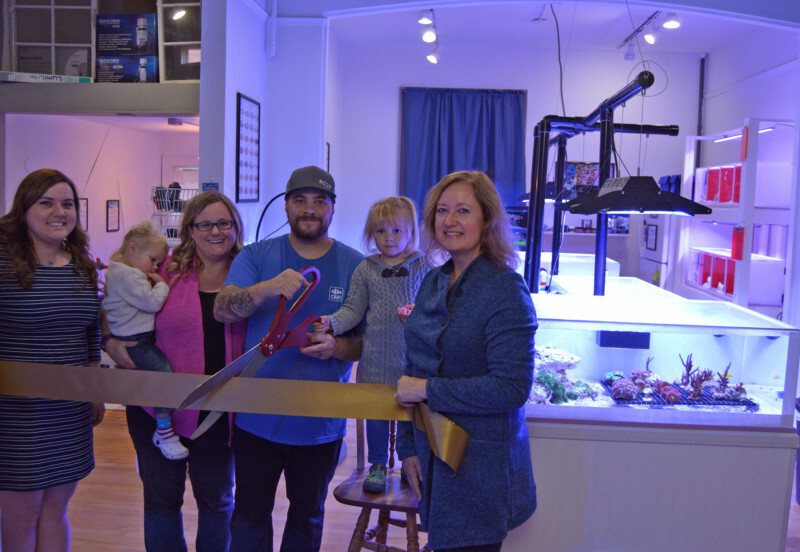 Reef is a full-service aquarium store that is excited to bring its wide array of products and expertise to downtown Marquette. U.P. Reef is located at 118 W. Washington St. #B (above Wattsson & Wattsson Jewelers), Marquette, MI. Call (541) 968-1963 to set up an appointment or email upreef@gmail.com for more information. Pictured from left to right: Kennan Marana, LSCP Membership & Administrative Coordinator; Adaleh, Jeff, Candice, and Cora Larson. 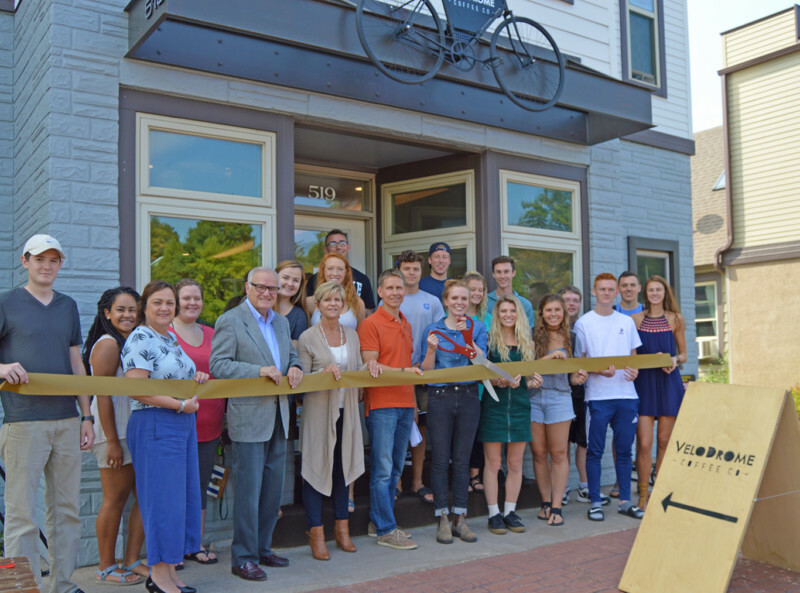 Ribbon Cutting Held for Velodrome Coffee Co.
MARQUETTE – The Lake Superior Community Partnership (LSCP) recently teamed up with Velodrome Coffee Company to celebrate the opening of their new store with a ribbon cutting. The new coffee company, located on Washington Street, is excited to offer customers a unique experience with flavors from across the globe. Velodrome Coffee Company is owned and operated by husband and wife, Brice and Teagan Sturmer. They began selling their coffee online nearly a year ago, and have decided to bring their freshly-roasted, high-quality coffee to the streets of downtown Marquette. They pride themselves on their direct relationships with single farms in Papua New Guinea, Guatemala, and Kenya. Velodrome Coffee Company invites the public to stop by their new store to enjoy espresso, tea, gluten-free bakery items, roasted coffee, brewing gear, merchandise, and wifi. Velodrome Coffee Company is located on 519 W. Washington Street and is open Monday-Friday from 8:00 a.m. – 6:00 p.m. and Saturday from 8:00 a.m. – 4:00 p.m. For more information, visit www.velodromecoffeecompany.com or call (906) 273-2556. Pictured from left to right: Chris VanAbel Marquette County Ambassador; Teagan Sturmer, Owner of Velodrome Coffee Co.; Tom Baldini, Marquette City Mayor Pro Tem; Kennan Marana, LSCP Membership Coordintor. 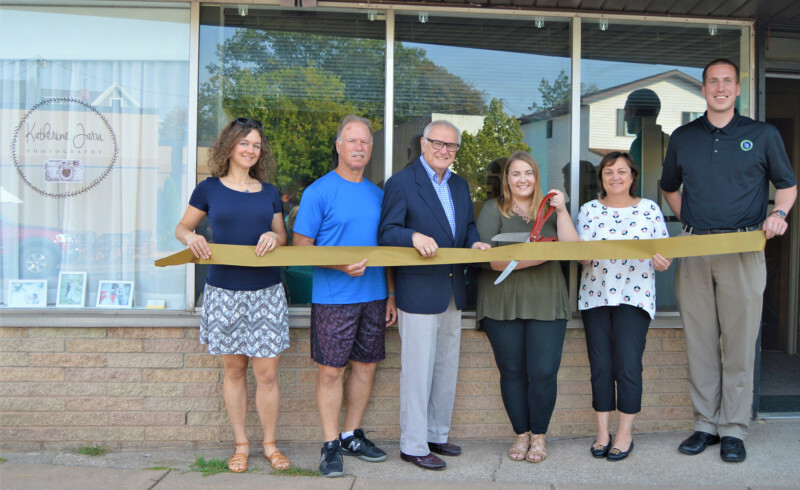 MARQUETTE –The Lake Superior Community Partnership (LSCP) recently teamed up with Katherine Jarvi Photography to celebrate the opening of her new studio with a ribbon cutting. Owner and award-winning photographer, Katherine Nichols, is excited to be providing a full range of portrait photography services from her new location on Third Street, in downtown Marquette. Katherine Jarvi Photography is located at 420 N. Third St., Suite 2, Marquette, MI and is open Monday – Friday from 10:00 a.m. – 5:00 p.m. Contact Katherine at (906) 250-9077 or visit her website at www.katherinejarviphotography.com for more information. Pictured from left to right: Tarah Laase-McKinney, Marquette DDA Promotions & Events Coordinator; Dave Campana, Marquette City Mayor; Tom Baldini, Marquette City Mayor Pro Tem; Katherine Nichols, Owner of Katherine Jarvi Photography; Mona Lang, Marquette County Ambassador, and Erik Powers, LSCP Business Development Representative. MARQUETTE- There is a recent addition to the health care community in the form of a collective. 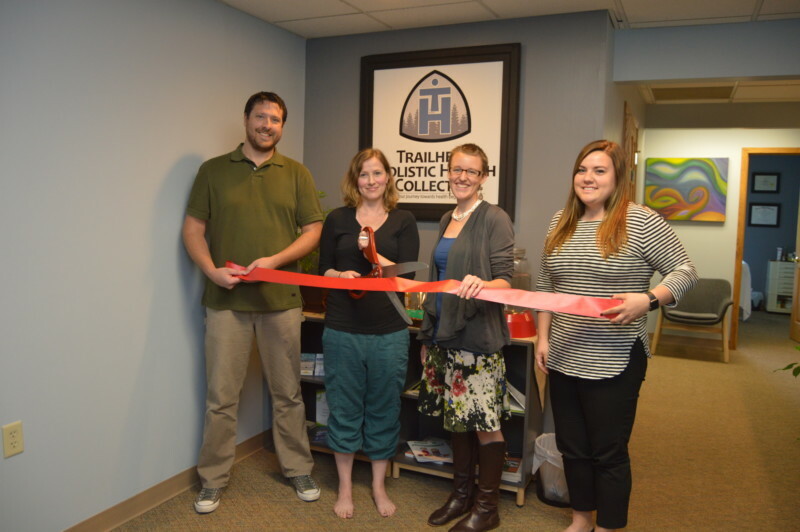 Lake Superior Community Partnership recently teamed up with Trailhead Holistic Health Collective (THHC) for a ribbon cutting to celebrate its grand opening. THHC is an ambitious project being undertaken by three individuals: Marc Weinrick of MQT Acupuncture and Bodywork, Carolyn Provencher of Carolyn Provencher Acupuncture and Beth “Dharmini” Robertson of Coldwater Haven Ayurvedic Health and Yoga Therapy. With the increasing reliance on pharmaceutical intervention to help combat common complaints like low back pain or anxiety, many people have found relief through integrative medicine that can come in the form of acupuncture, yoga therapy, tai chi, clinical bodywork/ massage, herbal medicine and meditation. Common interest in helping people discover the power and potential of holistic medicine is what brought these individuals together. With more than 30 years of combined experience, Mr. Weinrick, Mrs. Provencher, and Mrs. Robertson have discovered that it is not enough to simply practice a system of integrative medicine as a generalist. Mr. Weinrick says “Just as you may go to your doctor complaining of knee pain, you would likely receive a referral to a specialist for a deeper level of care. Whether that person is a physical therapist, or orthopedic surgeon, they are experts in their field of training.” Trailhead Holistic Health Collective has fashioned itself into a group of holistic health specialists who each have the individual experience and expertise to provide exceptional care in the field of integrative medicine. MARQUETTE – Accelerate UP, the Michigan Small Business Development Center and the Lake Superior Community Partnership (LSCP) recently teamed-up to hold a public one-year celebration for Red’z Bulgogi BBQ-Marinade, a local sauce company based in the Marquette, MI. At the celebration, guests were able to try sandwiches made with Red’z signature sauces and discover why the company’s popularity is growing beyond Marquette County. After 15 years of perfecting her recipe, Teresa Mauldin is excited to share her “Korean-inspired sauce with a Yooper wave of flavor” with the public. After only one year of being sold commercially, Red’z Bulgogi BBQ-Marinade is already being carried by 127 stores throughout the Midwest. Contact Teresa Mauldin at (906)251-8741 for more information. Pictured from left to right: Kelsey Reyes, Greater Ishpeming-Negaunee Chamber of Commerce; Mary Vantilburg, LSCP Business Development Specialist; Brittany Mauldin, Jeff Mauldin, Ashley Richards, Jessica Mauldin, Steve Ayotte, Teresa Mauldin, Owner of Red’z Bulgogi BBQ-Marinade; Patsy Kangas, RJ Bragg, Ross Kemp, Teresa Howes, Gary Perrela, Lori Kurian, Travis Hongisto, Marquette County Ambassador; Meagen Morrison, Accelerate UP Chairperson & Eagle Mine Social Responsibility Advisor; Nheena Ittner, UP Children’s Museum Director & Accelerate UP Project Management Team and Alex Kofsky, Accelerate UP Enterprise Facilitator. MARQUETTE –The Lake Superior Community Partnership (LSCP) recently held a ribbon cutting ceremony for Cornerstone Masonry & Tile LLC to celebrate the start of their new business. Owners of the local contracting company, Chris Graham and Wilbur Jennings, are excited to offer expert-level masonry, tiling and concrete placement services to the area. Contact Cornerstone Masonry & Tile LLC at (469) 271-0622 or wilbur@csm-t.com for more information regarding their services. Pictured from left to right: Kennan Marana, LSCP Membership & Administrative Coordinator; Wilbur Jennings, Co-Owner of Cornerstone Masonry & Tile LLC; Chris Graham, Co-Owner of Cornerstone Masonry & Tile LLC; Lois Ellis, Marquette County Ambassador and Dave Campana, Marquette City Mayor. MARQUETTE-The Marquette County Sheriff’s Office, the County of Marquette, and Pathways Community Mental Health held a groundbreaking ceremony with the assistance of the Lake Superior Community Partnership (LSCP). 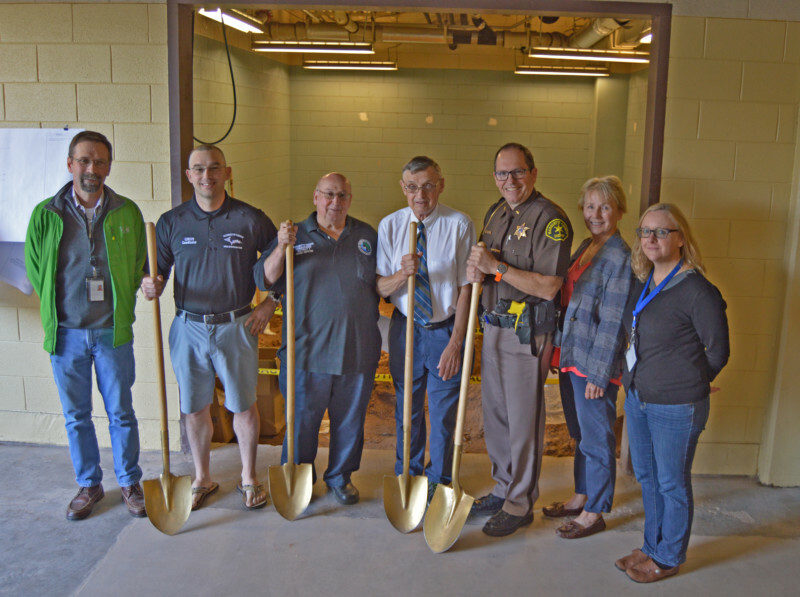 The groundbreaking was for the renovation to construct two diversion rooms in the Marquette County Jail, as part of their joint Jail Diversion project. Pictured from left to right: Lynn Johnson, Pathways Crisis Services Supervisor; Deputy Ryan Luezzo, Marquette County Sherriff’s Office CIT Coordinator; Johnny DePetro, Marquette County Commissioner; Gerald Corkin, Marquette County Board Chair; Sheriff Greg Zyburt, Marquette County Sheriff’s Office; Karen Alholm, Marquette County Commissioner and Tami Leblanc, Jail Diversion Liaison. Lake Superior Life Care & Hospice, formerly known as Lake Superior Hospice, adopted a new name that reflects a broader reach, offering hope and support to individuals living with chronic conditions through the agency’s new programs. It’s a redefining of the agency’s role, helping to eliminate the stigma of hospice, and providing specialized care that focuses on treating the family as a whole. “Lake Superior Hospice has always specialized in hospice services and will continue to do so” according to Sue Kitti, CEO, “However, we see many people who would benefit from services long before receiving a terminal diagnosis, we want to be able to support them earlier in life.” The new Life Care name will reflect several new services offered by the agency. Specializing in hospice care since 1979, the agency now offers a “Transitions” in-home care program designed for those living with chronic disease or health challenges, an adult day services program, an “Alzheimer’s Café” in conjunction with the Alzheimer’s Association, and “Dancing with Parkinson’s” in conjunction with the Dance Zone. In addition, the agency’s community bereavement program recently added a “widows-only” grief group. In October, the Lake Superior Life Care & Hospice will host the 2017 Upper Great Lakes Palliative Care and Hospice Conference. Pictured: Sue Kitti, Lake Superior Life Care & Hospice CEO; Lake Superior Life Care & Hospice staff and board, Nicole Young, Marquette County Ambassador; Michelle Sellers, Marquette County Ambassador; Tony Retaskie, Marquette County Ambassador and Dave Campana, Marquette City Mayor. For more information, please call the Lake Superior Life Care & Hospice office at (906) 225-7760. 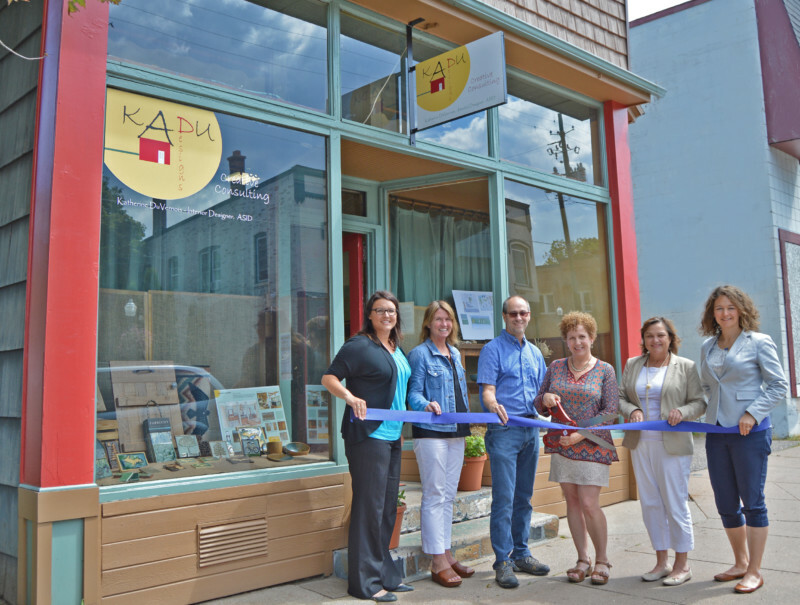 MARQUETTE – The Lake Superior Community Partnership (LSCP) and the Marquette Downtown Development Authority (DDA) recently teamed-up to hold a ribbon cutting ceremony for KADU Designs of Marquette. The DDA also presented KADU Designs with a certificate to welcome them to Downtown Marquette. The creative consulting business is excited to begin providing unique, local design options to the community. Located at 610 N. Third Street in Marquette’s historic east side, KADU Designs is an interior design studio that offers consulting for interior, exterior, residential, and light commercial projects. The studio also offers many products that are made in Michigan, the U.P. and northern Wisconsin. After living in California and Wisconsin, Katherine DuVernois, U.P. Native and Owner of KADU, is excited to be back in her hometown of Marquette, MI. DuVernois is a localist, which means she prefers to work with local materials and craftspeople to create designs that are truly unique to the area. She is an experienced designer and can help transform the look of almost any home or business. KADU Designs welcomes customers to visit the studio during normal business hours, Tuesdays 9:00 a.m. – 5:00 p.m. and Wednesdays 10:00 a.m. – 6:00 p.m. or call (906) 362-8440 to set up an appointment. Pictured from left to right: Mary VanTilburg, LSCP Business Development Representative; Sara Cambensy, Marquette City Commission; Dan Landers, Cook Sign Services; Katherine DuVernois, Owner of KADU Designs; Mona Lang, DDA Executive Director and Marquette County Ambassador and Tara Laase-McKinney, Marquette Downtown Development Authority. 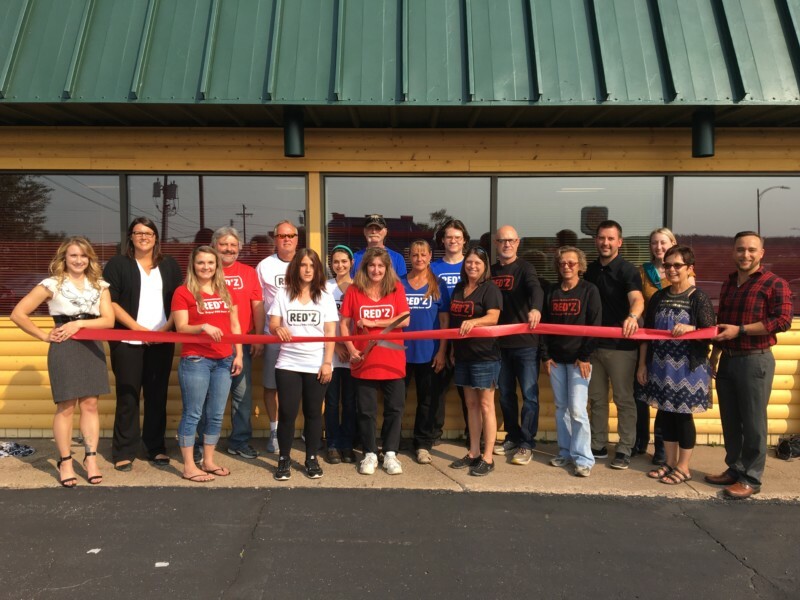 GWINN–The Lake Superior Community Partnership (LSCP) recently teamed-up with Our Grille to hold a ribbon cutting ceremony for their newly-opened eatery. Located in Gwinn, MI, Our Grille is a restaurant and bakery that aims to provide fresh, quality food to the area. Our Grille began as a small in-home bakery that quickly built a reputation for its cakes, cupcakes, and desserts. 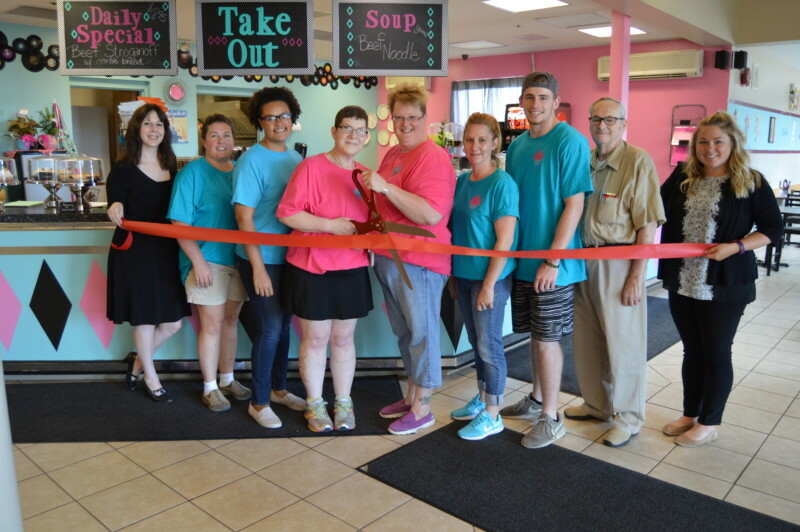 It has since evolved into a restaurant that serves a full menu of homemade soups, fresh salads and sandwiches, as well as homemade sweets and treats. The owners of Our Grille, Renee Rushlow and Michelle Ford-Thompson, aim to use their love and knowledge of baking to create a special eating experience for all who come. Our Grille is located at 301 Avenue A, Gwinn, MI 49841. Pictured from left to right: Caralee Swanberg, LSCP Vice President of Economic Development; Kelly Schmeltzer, Naria Ford-Thompson, Renee Rushlow, Owner; Michelle Ford-Thompson, Owner; Shannon Hope, Hunter Bachman, Al Ford and Ashley Szczepanski, LSCP Marketing and Events Manager. 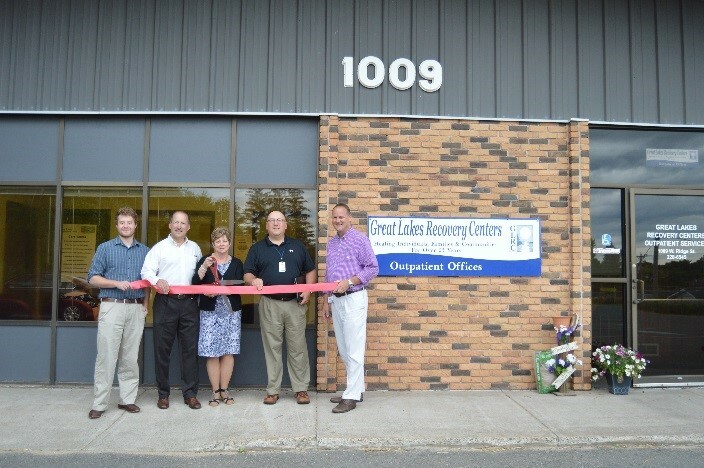 In the past five years, the Great Lakes Recovery Centers Foundation has been the fundraising arm of the Great Lakes Recovery Centers. The foundation oversees grant writing and fundraising events such as the 10th Annual Run for Recovery on July 26th, and the Peter White Family Cabins event on August 30th. The 10th Annual Run will be guest-hosted by former Green Bay Packer and Hall of Fame kicker, Chester Marcol. The Great Lakes Recovery Centers has recently been making bounds in a variety of programs, like the Offenders Success program. The program is a contract with the Michigan Department of Corrections for 15 U.P. counties. The program’s primary goals are combining reentry and public safety, creating safer neighborhoods and better citizens by assuring parolees have direction and access to the means necessary for successful integration in their communities. With nearly 40 years in the area and four residential sites, the GLRC have served over 3,000 people in 2016 alone. They offer two facilities in Marquette, one being a 36-bedroom adult facility, and the other being a transitional house for women. Other sites include their New Hope Houses in Sault St. Marie and their youth facility in Negaunee. Their mission is to empower recovery through hope and change, and to create healthy communities–one person at a time. Visit their Facebook page or website www.greatlakesrecovery.org to learn more about their services throughout the Upper Peninsula. Pictured from left to right: Andrew Flory, Foundation Grants & Marketing; Robert Mellin, Output Service Director; Shelby Bischoff, Foundation Coordinator; Greg Toutant, Executive Director; and Jason Sides, Offender Success Community Coordinator. 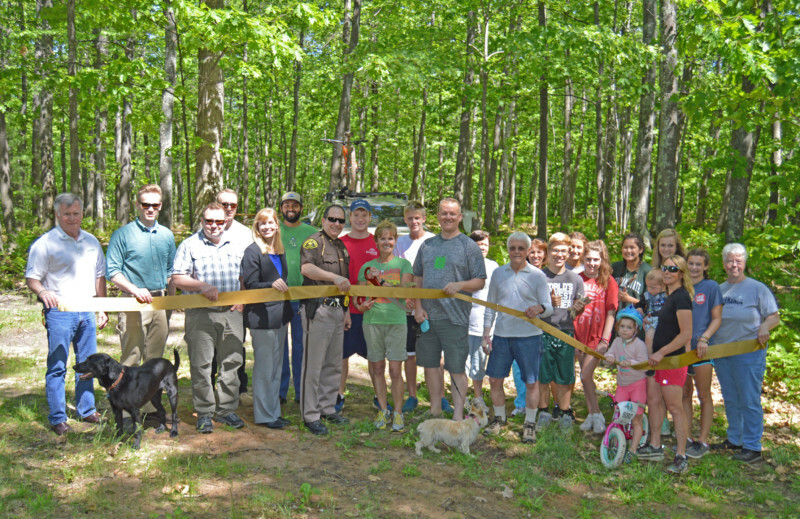 MARQUETTE – On Thursday, the Noquemanon Trail Network held a ribbon-cutting ceremony to celebrate the grand opening of its new campsite located in the Forestville Trailhead site of Marquette Township. The primitive-style campsite, set near a series of non-motorized trails, is a perfect destination for hikers and bikers alike. The campground features 25 tent or pop-up camper sized sites that are set in the wooded area of the Forestville Trailhead. Although the sites are considered primitive, amenities like vault toilets, potable water, a central picnic table and a fire pit are available to campers. Leashed dogs are also welcome. Sites are available on a first-come-first-served basis via self-registration. Each site is $15 a night and has an 8-person limit. Sites can be booked for up to a week of continuous camping. Some dates will be reserved for private events, so make sure to call ahead to ensure site availability. The campground will be staffed daily. For more information, call the Noquemanon Trail Network office at 906-235-6861. 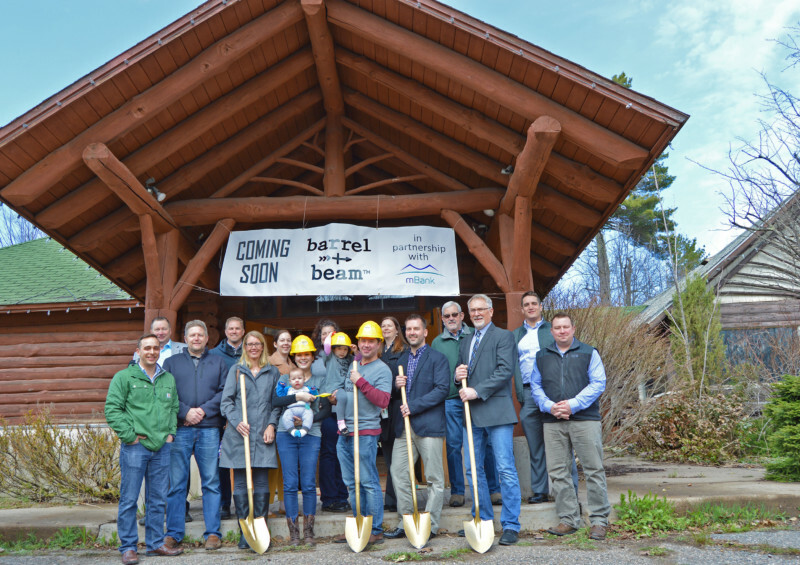 Marquette, Michigan: Ground officially broke today on a five-month renovation project which will turn the old Northwoods Supper Club into Barrel + Beam, the region’s only brewery solely focused on farmhouse and barrel aged beers. Approximately 10,000 of the 16,000 square foot building will be renovated into a multi-level tasting room, brewhouse and barrel aging and bottle conditioning area. Once complete, Barrel + Beam will be open to the public on Saturdays and patrons can purchase bottled beer and special pours exclusive to the tasting room, as well as tour the brewery. No food will be made on-site but carry-ins will be encouraged. Barrel + Beam will brew four brands initially: Biere de Garde, Golden Strong ale, Saison, and Belgian Wit will be bottle-conditioned, as is true to their style. The bottled products will be sold at select retailers in Michigan and Wisconsin, as both states allow self-distribution up to a certain threshold. “Barrel and Beam is a reflection of my long-standing passion for producing authentic farmhouse and bottle conditioned beers using premium ingredients, many of which will be found right here in Michigan,” said Nick VanCourt, founder and brewer. Future beer offerings will include additional sour beers and Michigan sourced fruit beers that will spend up to a year aging in oak barrels. VanCourt, a graduate of the World Brewing Academy, a partnership of Siebel Institute of Brewing Technology in Chicago and Doemens Academy in Munich, Germany, has eight years of professional brewing experience at microbreweries, brewpubs, and production breweries in both Wisconsin and Michigan, most recently, as head brewer of Ore Dock Brewing Company in Marquette. Fittingly, the traditional style ales will be brewed and bottled in a building that was once the second oldest restaurant in the state and known for its unparalleled quality. The Northwoods Supper Club opened in 1934 and was the host of many first dates, weddings, anniversary dinners and other celebrations before closing its doors over 70 years later. The project is in partnership with U.P. based mBank and utilizes many local firms and contractors including Closner Construction, Wright Electric, United and Integrated Designs. The brewhouse will be designed and built by Quality Tank Solutions, based in Oconomowoc, Wisconsin. Brewery and construction updates will be posted on the Barrel + Beam Facebook site at www.facebook.com/barrelandbeam. MARQUETTE COUNTY – Delta Air Lines and The County of Marquette recently teamed up with the Lake Superior Community Partnership (LSCP) to celebrate the return of non-stop air service from Sawyer International Airport (MQT) to Minneapolis-St. Paul International Airport (MSP) on SkyWest Airlines, operating as Delta Connection. The newly returned connection will be available seven days a week. Flights can be reserved online at delta.com. 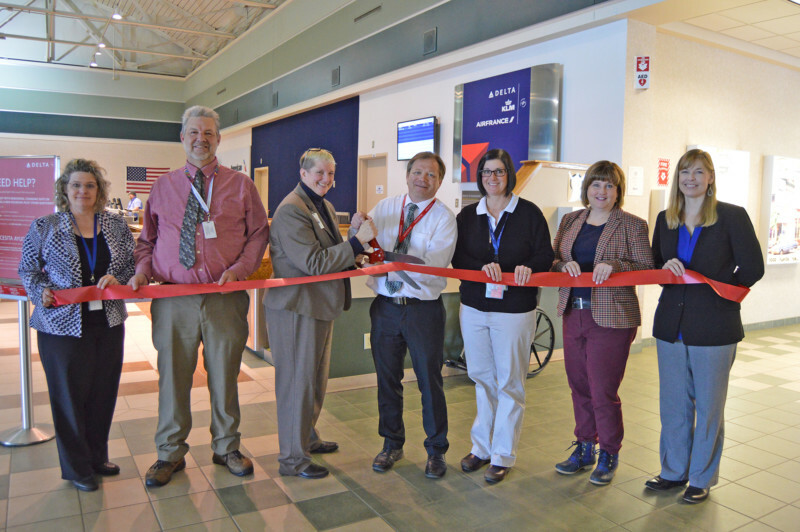 Pictured from left to right: Jody Lindberg, Sawyer Operations/Marketing & Development, Steve Schenden, Director of Sawyer Operations, Sharon Heley, Delta Air Lines Regional Manager, Duane Duray, Airport Manager, Karen Shaneberger, Delta Air Lines Station Manager, Amy Clickner, LSCP CEO, and Nicole Young, Marquette County Ambassador. 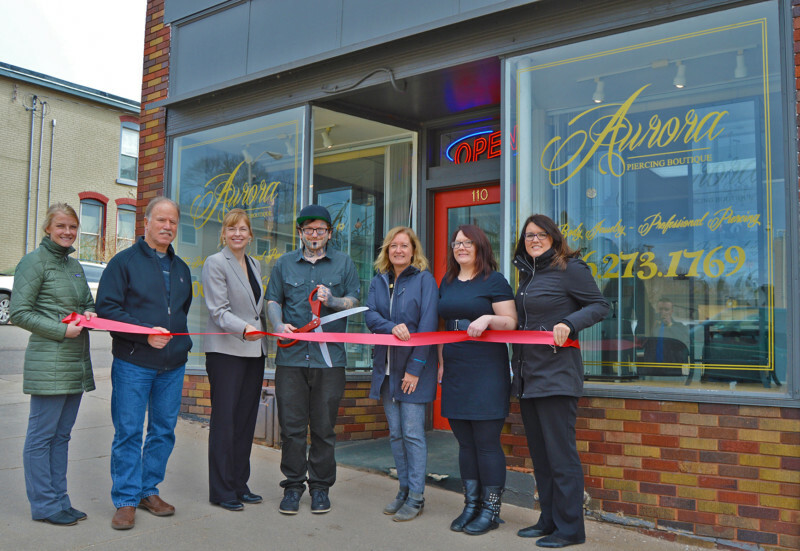 MARQUETTE – Aurora Piercing Boutique recently teamed up with the Lake Superior Community Partnership (LSCP) to celebrate their grand opening. They are a professional body piercing boutique with two full time piercers and a member of the Association of Professional Piercers. Aurora Piercing Boutique is located at 110 N. Third Street in Marquette. Pictured from left to right: Amy Kuivanen, LSCP Business Development Representative, Dave Campana, Marquette City Mayor, Nicole Young, Marquette County Ambassador, Chris Ganyou, Owner of Aurora Piercing Boutique, Michelle Sellers, Marquette County Ambassador, Sarah Reynolds, Marquette City Commissioner and Mary VanTilburg, LSCP Business Development Representative. 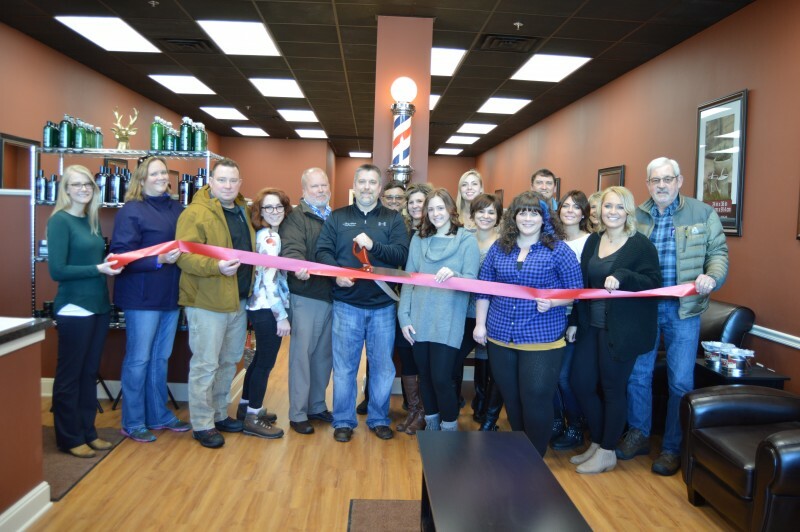 MARQUETTE – The Guys’ Place, A Hair Salon for Men, recently teamed up with the Lake Superior Community Partnership (LSCP) to celebrate their grand opening. The salon offers quality service for men and boy’s with a unique customer service focus. Haircuts include shampoo, conditioner, a hot towel, eyebrow and mustache trim, a shoulder rub, TV and peanuts all from your own private barber chair. The Guys’ Place is located at 3117 US Highway 41 W in Marquette and opens Saturday, January 14 at 9 a.m.
Pictured from left to right: Amy Kuivanen, LSCP Business Development Representative, Janelle Ruff, Marquette Township Planning and Zoning, Jason McCarthy, Marquette Township Planner, Emily Smith, Stylist, Dave Aro, Marquette County Ambassador, Kurt Peterson, Owner, Steve Rosiewicz, Stylist, Jess Peterson, Owner, Lexi Peterson, Alyssa Wuori, Stylist, Athena Lohr, Stylist, Angie Johnson, Manager, Don Gladwell, Marquette County Ambassador, Mari Harmala, Stylist, Karen Hayes, Taylor Badder, Stylist and John Marshall, Marquette County Ambassador.